The undeniable elegance and grace of a parted-shank design featuring a round brilliant is certain to draw attention of anyone who happens to see it. 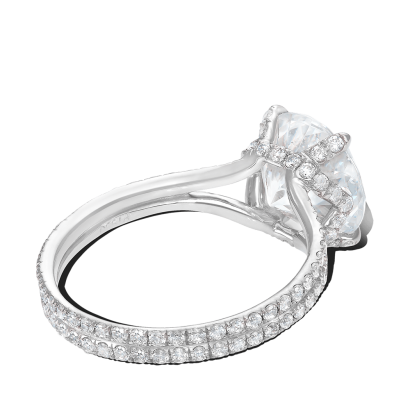 This design encourages maximum light to shine trough the center stone, ensuring natural radiance of the jewel. 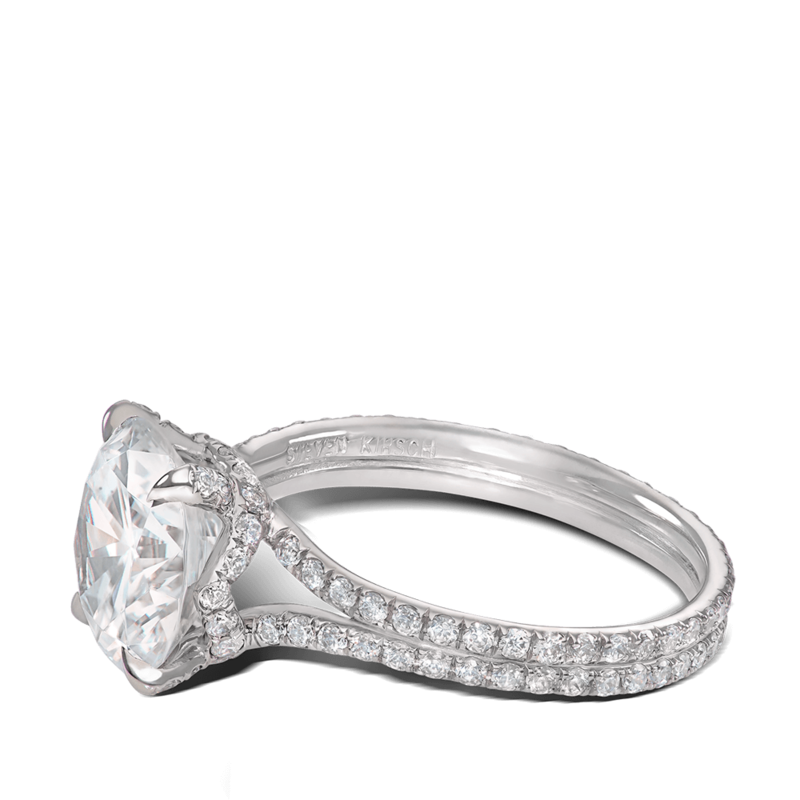 Delicate micro pave split shank finishes this romantic piece. 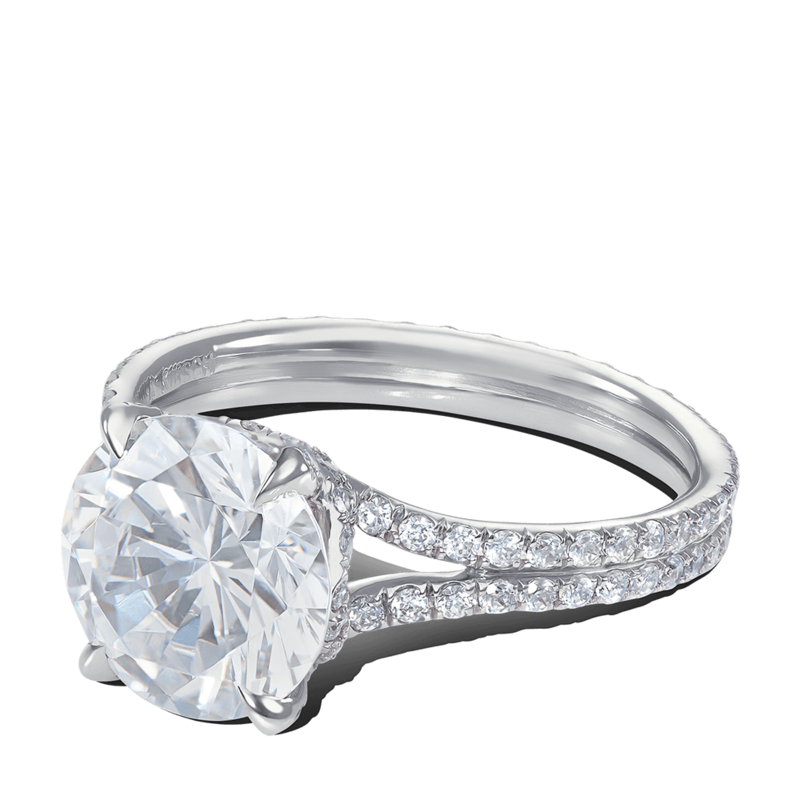 Designed for a 2ct or 8.1 mm round center stone. Can be made for any size center stone.